I have been hopping around this week. 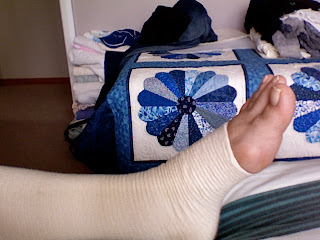 I sprained my ankle on Saturday. In the background you can see some of the dresden plate quilt I made for daughter no2.